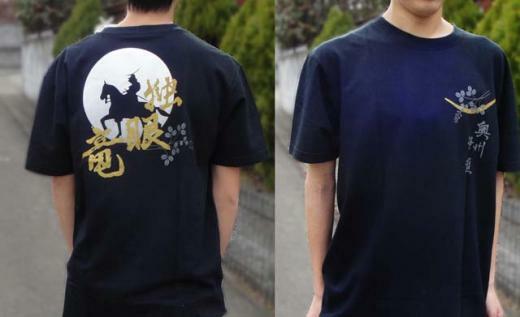 The T-shirts with printing of “Date Masamune”, a feudal warlord from Date family in the Sengoku period. 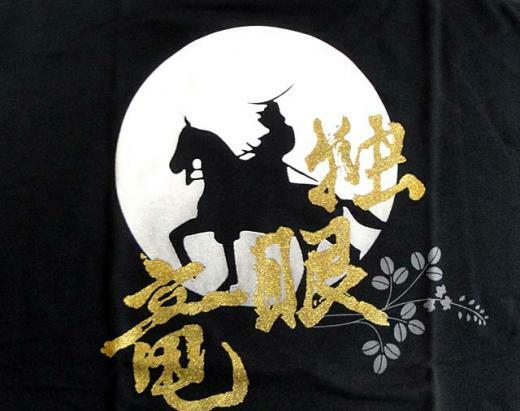 He has been called “Dokuganryu (the one-eyed dragon)”, and it has been a symbol of strength. The T-shirts recognized by the Date family (with the family crest). Highly functional T-shirts with nice soft cotton and quick dry polyester with breathable stitch. The size is XL (Height 5′ 8.9″- 6′ 0.8″, 175-185cm), and colors are black, red and white. Please look at this cool T-shirts and others in our online store !